Perhaps you're in Rome on our honeymoon. Or even with a new love. 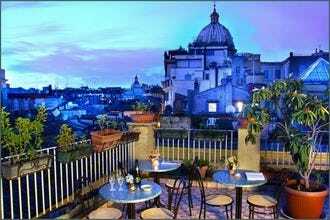 You might have chosen the eternal city to rekindle your love life or as the place for a marriage proposal. Either way, you're coming to the right place. Love is in Rome's DNA. Put simply, Italians love love! 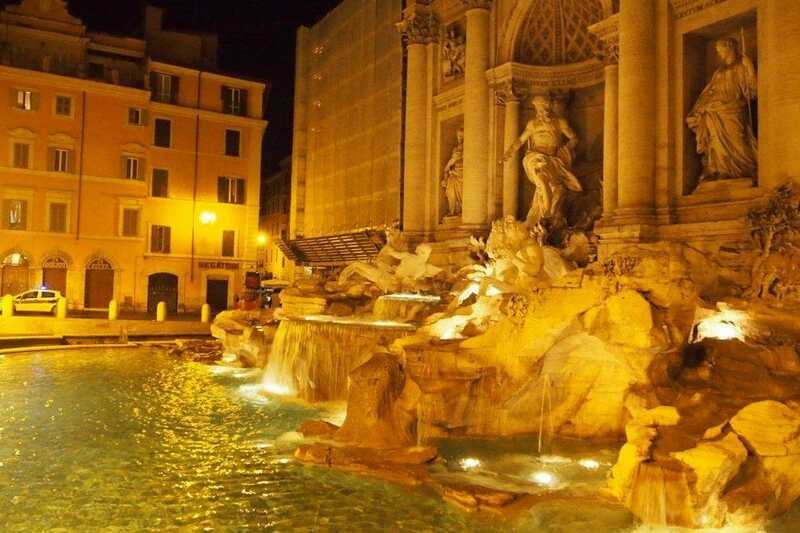 Rome has a wealth of hotels with varying styles, spread across the historical center and beyond and catering to all budgets. But it can be hard to sift through the endless options and if you're traveling for love, you're bound to want something special. So we've rounded up 10 of the best when it comes to style, comfort, luxury and of course - romance. 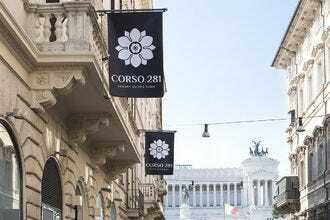 If you want to impress, the Hotel Hassler is one of Rome's best or try any of the Boscolo hotels in Rome - they are renowned for Italian luxury and design. To relive the days gone by of la dolce vita, perhaps Via Veneto is more up your alley. The Westin Palace located in a prized location. 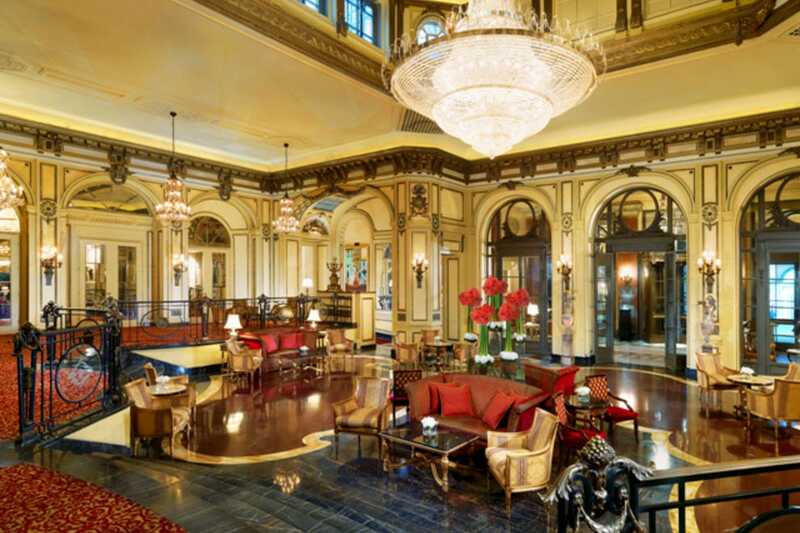 If you lovers don't want to lift a finger, the St Regis even has a 24 hour butler service. Take your pick, enjoy each others' company and pamper your loved one with a relaxing stay at one of these romantic hotels in Rome - you won't regret it. For hedonistic pleasure, the nouveau riche choose to stay at the smart and sassy Aleph Hotel. Its interior was purposely designed to represent Dante's Divine Comedy. The lobby and lounge areas are meant to represent Inferno with its rich red and black accented chairs, couches and decor. Guests are immediately greeted by caged marble lion statues and two gigantic samurai warriors at the entrance of the hotel. The hotel rooms itself are slightly less shocking, decorated in a clean contemporary style with large photographs of Rome hanging on the walls. Make your way up to Pardiso and enjoy a drink from the hotel's rooftop Angelo bar or treat yourself with a day of relaxation at the Anmo Tuina spa. BUS: 80, 53, 52. METRO: Barberini. 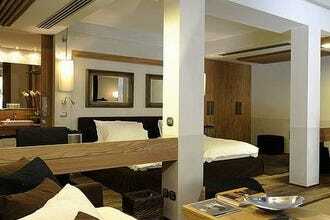 Located on a corner directly in front of the American Embassy on the famous Via Veneto, is the Westin Excelsior Hotel. Its striking presence resembles that of an elegantly baked wedding cake crowned with a magestic cupola dome on top. 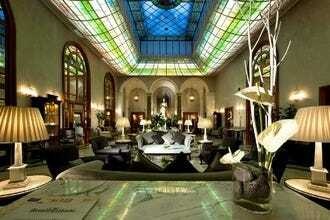 The interior of this hotel is downright dazzling. There are elegant mirrors, fresh flower arrangements and crystal chandeliers present throughout the hotel. It's no wonder, this hotel is the obvious choice for promininent political figures, celebrities and royalty. Amenities include an indoor pool, full service spa, and a health club and sauna. BUS: 80, 52, 53. METRO: Barberini. 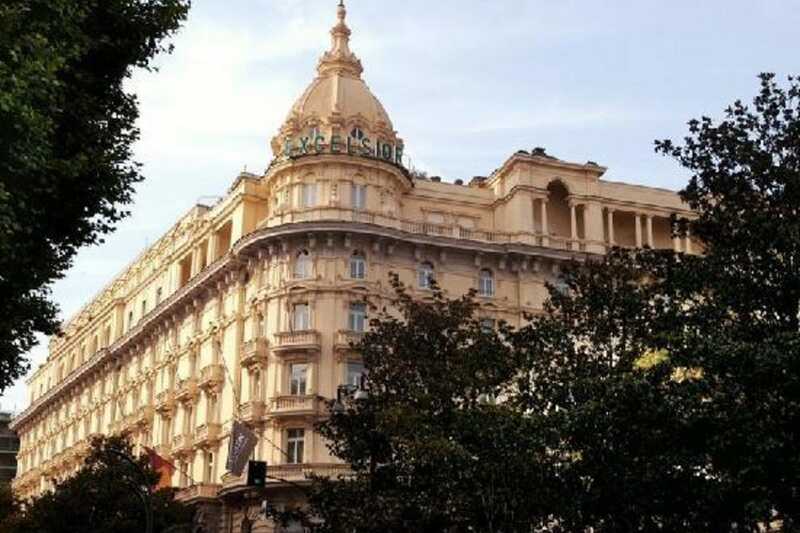 Travelers interested in treating themselves well, will make no fuss in spending top dollar to stay at the ultra-extravagant Exedra Boscolo Hotel. 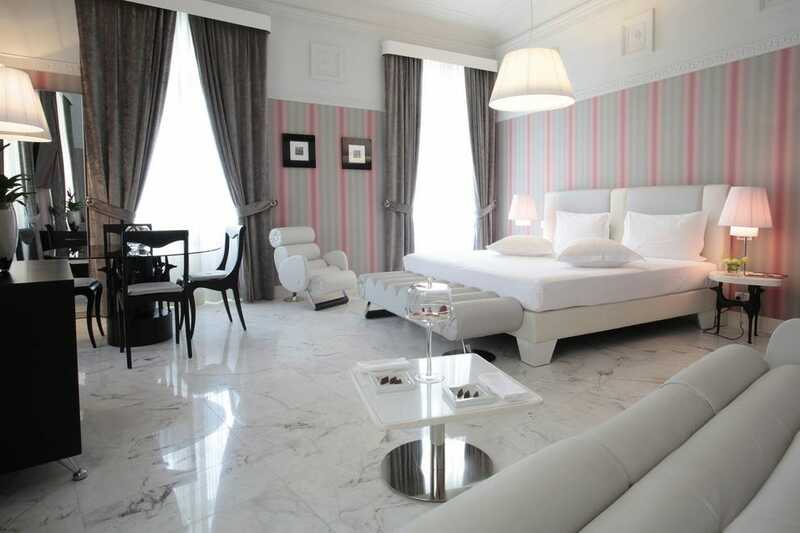 Highrollers and bigwigs are known to stay at this splashy hotel that overlooks the romantic Piazza Repubblica. 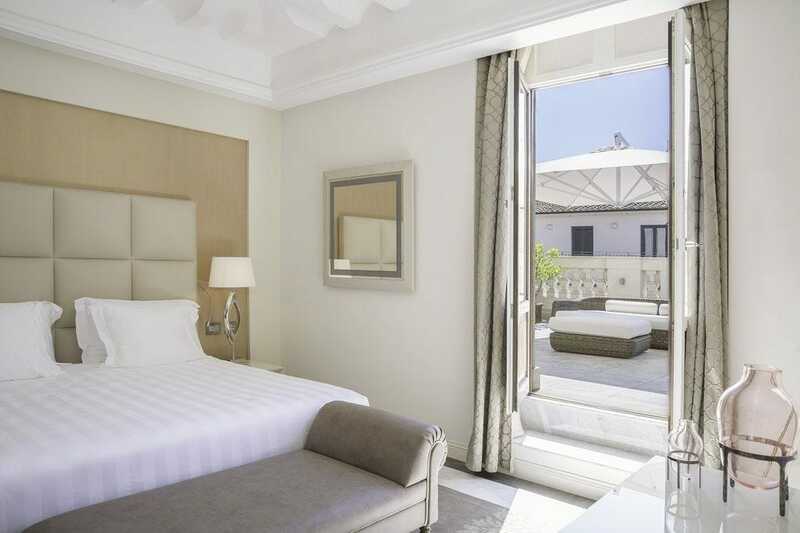 The presidential suites consist of a soft fusion of neoclassic and a clean contemporary style. 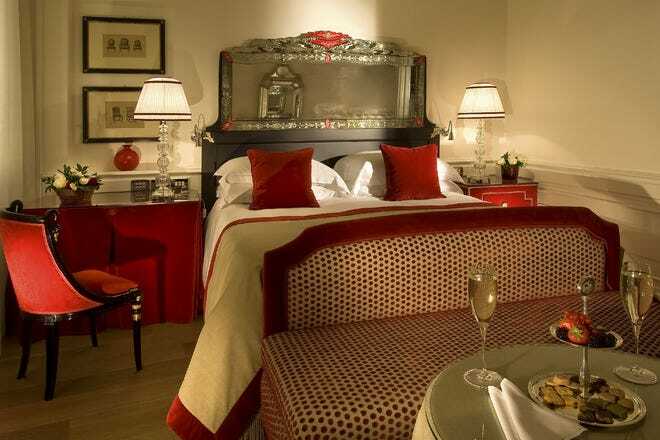 The rooms include comforts like silky haute couture linens, plush king-sized beds and marble round jacuzzi baths. Most of the rooms have an amazing view of the piazza. But perhaps, the best part of this hotel is the tantalizing rooftop pool. BUS 64, 40. METRO: Repubblica, Termini. 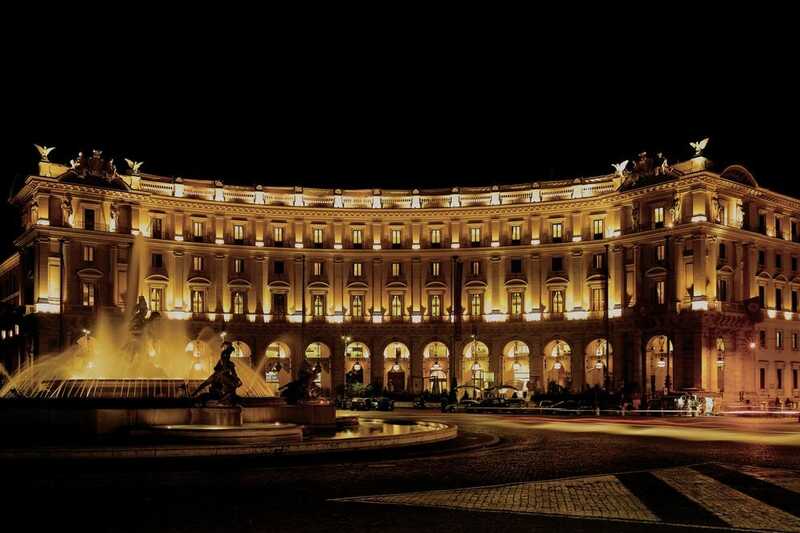 Part of the international Starwood group of hotels, the St. Regis Grand Hotel in Rome is an award-winning 5 star luxury hotel. Recently, the property was completly restored and offers travellers the best in services and amenitites. The landmark hotel offers a range of deluxe rooms and luxury suites all featuring the best in quality and elegance. Located in the heart of the city, all major monuments and attractions are either within walking distance or accessible by transport. 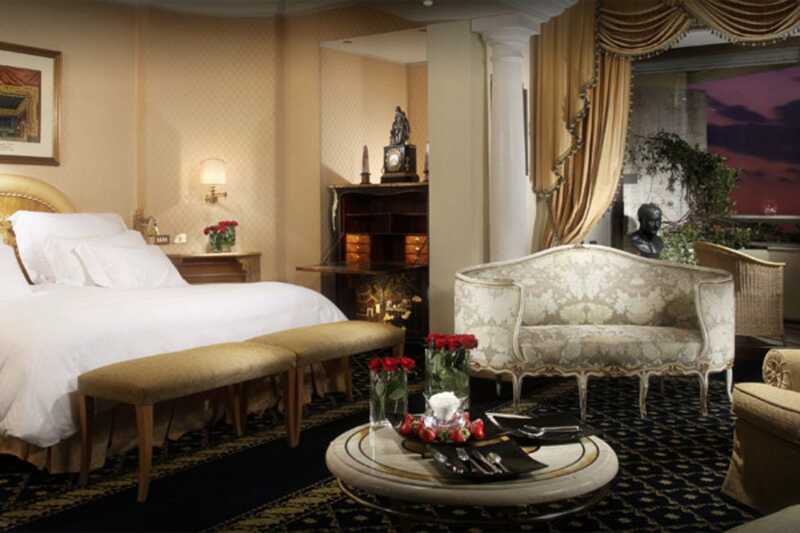 All of the 138 guest rooms and 23 suites have unique personalities and are elegantly decorated in a combination of Empire, Regency and Louis XV styles. A 24 hour butler service is available to all rooms. The hotel restaurant, "Vivendo" prepares creative traditional Italian cuisine with fresh ingredients, offering a unique seasonal menu. METRO: Repubblica. 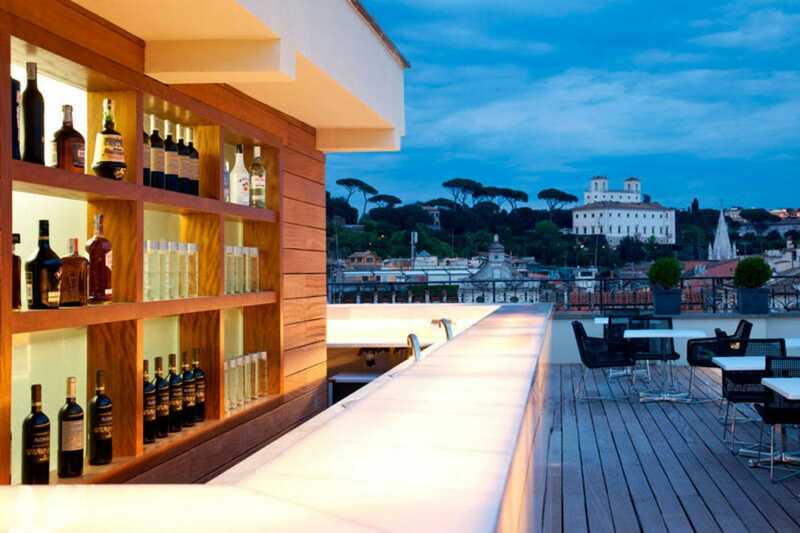 The Rome Cavalieri is stituated in the Monte Mario area of Rome, just north of the city, in a prized elevate area overlooking the panorama that has inspired visitors to the eternal city for centuries. Well connected to the center, the hotel also offers a shuttle service for guests. 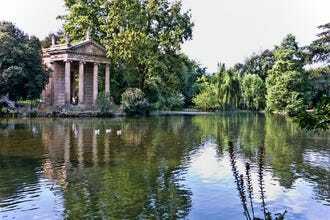 The property sits within fifteen acres of lush Mediterranean parkland and is a calm retreat in the heart of the Rome. The hotel boasts the only restaurant in Rome with 3 Michelin stars, La Pergola as well as an award winning day spa and wellness center. More than just a 5 star hotel, it's the first Europe to become part of the exclusive Waldorf Astoria Hotels and Resort Group.